Luxury railway travel operator Belmond is considering adding Londonderry to its list of destinations. The company is understood to be in discussions with Translink about extending its existing heritage railway operation to the north west. Belmond currently provides journeys across Ireland's railway network on board its Grand Hibernian luxury locomotive, considered to be the island's equivalent of the Orient Express. Translink's north west multi-modal transport hub proposal is currently with Derry and Strabane District Council for consideration. A final decision is expected later this month. 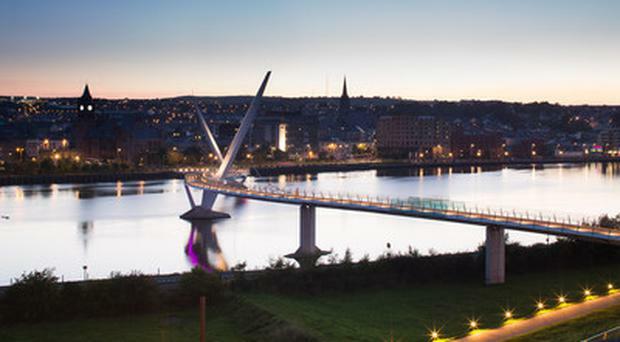 The investment has been welcomed by Tourism NI, Visit Derry and Belmond. John McGrillen, chief executive of Tourism NI, said: "We are supportive of any project which is likely to lead to the growth of tourism across Northern Ireland. "One of our biggest challenges is connectivity across the region, particularly to and within the north west. "It is also important that we enhance every part of the visitor experience whilst they are here in Northern Ireland. "Translink's plans for a new multi-modal transport hub will not only improve connectivity to and within the region, but will also enhance the experience of visitors when arriving at the destination. "It will also be important to the council's ambitions to making the city the gateway to the Causeway Coastal Route and the Wild Atlantic Way, and we are delighted that Belmond are considering extending their operation to the north west to help maximise the tourism potential along one of the most scenic rail journeys in Europe. "We would also welcome the proposals to refurbish the Grade B Listed (railway) building which will build on previous investment by Tourism NI in the refurbishment of the city's built heritage, which has been central to the growth in tourism which Derry-Londonderry has experienced in recent years."